Hooman Majd (website | Twitter) is an Iranian-American journalist, commentator, and author. 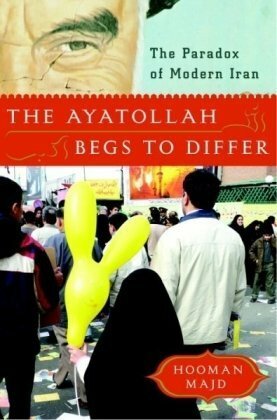 His three books — The Ayatollah Begs to Differ: The Paradox of Modern Iran; The Ayatollahs’ Democracy: An Iranian Challenge; and The Ministry of Guidance Invites You to Not Stay: An American Family in Iran (which we reviewed here) — present a view of Iran that’s at once insider and outsider. Born into a diplomatic family, Hooman has often been to Iran but has spent most of his life in the United States; his work reflects the tension and the correspondences between his two nationalities. Aside from his journalistic and authorial endeavors, he runs a very entertaining — and instructive — style blog called The House of Majd. I spoke to Hooman this week about returning to New York from the year he and his family spent in Tehran, Argo, and the state of US-Iranian relations. 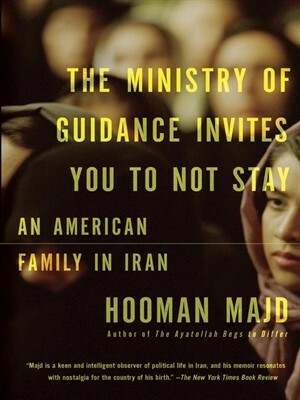 Charles Arrowsmith: I loved The Ministry of Guidance Invites You to Not Stay, and particularly the passages about how your wife and son adapted to life in Iran. What was it like to come back? Hooman Majd: Coming back was, to use the old cliché, bittersweet. I mean, we got used to life in Tehran — and there was something great about the pace (neither myself nor my wife had jobs, which made it even nicer), but we also very much missed New York and our lives there. No matter how comfortable one may feel in Iran, there’s always a sense of relief when you leave — relief that you’re out of an oppressive political atmosphere (this was still under Ahmadinejad), and relief from the frustrations of daily life. And, of course, away from the horrific pollution. I think for myself I realized that no matter how much I’d like to think of Tehran as a home of sorts, it just never can be, no matter the politics or the social system. To have been born somewhere, even to feel culturally at home, does not make it one’s home. CA: Does Khash remember much? Does he retain a sort of Iranian-ness in his character post-Tehran? HM: I’m not so delusional as to think that a one- or two-year-old will retain very much of what he experienced as a baby, and certainly I don’t see any particular “Iranian-ness” in his character now (not that one would see very much of that in any four-year-old), but he does talk about Iran all the time, says he remembers living there (although that may be because we’ve told him about it as he’s been growing), and he’s more aware than I thought he’d be of being Persian. 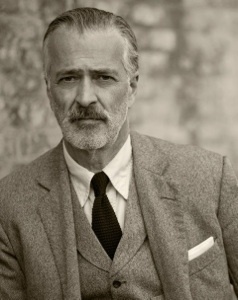 Or “half-Iranian and half-Wisconsin and half-English,” as he puts it, without any prompting from me. So perhaps there is a residual memory there somewhere. CA: Your Twitter account provides an interesting commentary on the way media in the West represent and report on Iran. Who do you trust? What sort of thinking do you detect behind the headlines? HM: I think there’s plenty of fine reporting on Iran, especially by journalists who travel there. Scott Peterson of the Christian Science Monitor is particularly strong in his reporting from inside Iran. Najmeh Bozorgmehr, who is the Financial Times’ correspondent in Iran, is great, as are most others who either live in Tehran or travel there frequently. What I don’t trust, and what I find even offensive at times, is when the media offers opinions based on misconceptions or half-truths (if not downright inaccuracies), usually authored by writers who’ve either never been to Iran, or know very little about the place or the culture, or even the politics. That said, I’ve always maintained that there are no real “experts” on Iran, for every self-proclaimed or media-proclaimed one has been wrong on so many issues and occasions that one might as well give up trying. I include myself, of course. 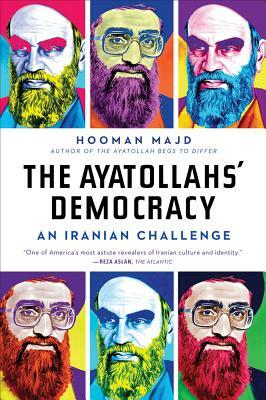 An example is that there was not one person who predicted or even considered the possibility of the 2009 election fiasco and subsequent events, and four years later, not one person who predicted the rise and subsequent landslide victory of Rouhani. In terms of the headlines, and in terms of what the thinking is, I believe it depends on the source. While The New York Times and other major papers are as objective as possible, some of the media (and I’m speaking of mainstream but conservative) clearly have an agenda, and that agenda colors their reporting or editorial stance. An agenda that sees Iran as an implacable foe that must be defeated one way or another, including even going to war with it. That is, of course, at odds with what this White House believes, but may not be in a future administration. CA: What role do you think the arts, especially perhaps literature and cinema, play in (as it were) re-presenting Iran to Western audiences? HM: I think the arts, and especially cinema, as it seems to attract a larger audience than literature, can and do play an important role in representing Iran to Western audiences. Kiarostami’s films certainly showed an Iran (and Iranians) that we didn’t know about (although he was strictly arthouse and therefore not widely seen), but the film A Separation, which won the Academy Award a couple of years ago, had a very strong impact, as it was seen not only by a wider audience but showed that Iranian families are not that different from Western ones. They have the same problems and desires as anyone anywhere, and in fact may be far more outwardly “Western” than we may have thought. And they have washing machines in their apartments, surprise, surprise. CA: Do you consider a film like Argo to be irresponsible? HM: I think Western films, such as Argo, aren’t necessarily irresponsible, but I do wish that they could be a bit more accurate if they’re portraying real events, and that Iranian characters weren’t always so one-dimensional. I don’t blame the writer-directors entirely — in the case of Ben Affleck I think he thought he had a great story to tell (which he did), and he did his best to make it entertaining while based on fact. I don’t think it’s his responsibility, necessarily, to portray Iranians one way or another, other than in the service of his story. Filmmakers aren’t journalists, of course, and unless there is an egregious and intentional untruth or misrepresentation, then we have to look at Western films set in Iran or with an Iran storyline as films, and nothing else. CA: After Presidents Obama and Rouhani spoke in September 2013, whither US-Iranian relations, do you think? HM: Although the phone conversation occurred over a year ago, and hasn’t been repeated, the result of that has been an unprecedented level of face-to-face communication between the two nations — chiefly between Iran’s foreign minister and Secretary of State John Kerry — which has lessened tensions and made the possibility of détente very real. While the focus of communication between Iran and the US has been the nuclear issue, there have been other conversations — Syria and ISIS and Iraq, chiefly. But it bodes well for a longer-term lessening of antagonism and even outright hostility. Obama has two years left in office; Rouhani potentially seven. It very much depends on who is the next US president, but if in the next two years we see a resolution to the nuclear crisis and the beginnings of détente, it is unlikely that the next US president will reverse that, no matter the objections by hawks — assuming things go well in other areas of mutual interest. That is the nature of realpolitik, and it will apply to relations between Iran and the US. Both countries recognize that despite disagreements over some major issues, chiefly the Israel-Palestine issue, there are common interests that will be advanced by détente, and given that a change in regime in Iran — possibly the most stable country in the Middle East right now — is highly unlikely in the near or even longer-term future, then one has to assume that with the ice well broken, if not completely crushed, the election of Hassan Rouhani, at for him a fortuitous time, will result in bringing Iran in from the cold, as it were. That can only benefit the US and the west over the long term, both economically and politically. Of course, the nature of Iran-US relations has been that opportunities have come and gone and not been taken advantage of, by one side or the other or both. But I think that given the issues in the region today, and with pragmatic and less ideological administrations in both countries, it is more likely than not that there will be some sort of reconciliation between the two countries that won’t result in them becoming allies but countries that may be able to work together on some level and reduce hostilities to the point of them being less likely to erupt into something far more dangerous. We’re delighted that Hooman is one of our Seriously Entertaining guests at No Satisfaction on November 17 at City Winery alongside Ruby Wax, Dan Povenmire, and Philip Gourevitch.